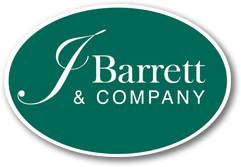 Below you will find all properties on the North Shore of Massachusetts exclusively listed with J Barrett & Company. If you have questions or would like to set up a showing, contact us. Create an account to keep track of your favorite listings and we'll update you when similar properties match your criteria. You can also view our popular North Shore searches. Waldingfield. Magnificent Italianate Revival residence overlooks the Ipswich River on over 39 acres of Olmsted-designed terraced gardens, rolling fields and woods. The main house reflects elegant architectural styling with high ceilings and fine millwork. The kitchen complex includes a Butler's pantry and breakfast room offering vistas to the Ipswich River. Also a fireplaced living room with period fresco walls and French doors and a grand formal dining room plus a library with quarter-sawn oak cabinets & a marble-floored solarium. Features in the fireplaced master suite include a dressing room and en suite bathroom. A guest suite and children's wing with a sitting room, 3 bedrooms and full bath complete the 2nd floor. A paneled fireplaced office, 3 bedrooms and 2 baths are on the 3rd floor. Also a guest cottage, pool/pool house, 10-stall barn and paddocks. Direct equestrian trail access via the Essex Country Trail Association, 3 miles to the Myopia Hunt Club & 5 miles to the train. The Ledges, designed by Harrie T. Lindeberg, one of America's most prominent 20th century architects, is an exquisite English Country Manor Estate on 14+ acres of woods, manicured lawns, perennial gardens, and in-ground pool. Lovingly renovated, the residence offers a versatile floor plan for casual/formal entertaining and daily modern lifestyles. An expansive formal living room with fireplace has French doors to the grounds and to a lovely bluestone screened porch. A gracious formal dining room with a spectacular leaded glass conservatory overlooks the sweeping back lawn. The chef's kitchen with SS appliances, center island and sitting area with fireplace opens to a large family room with views of pool & garden. Four second floor separate guest suites in addition to a luxury master suite with a new bathroom and sitting/dressing room and two 3rd floor family rooms. Wonderful apartment with full bath and kitchen over 3 car garage. A flagship home for all seasons and all lifestyles. Crossroads Farm - a unique 26-acre parcel with stunning upland open space, wooded habitat and wetlands in the heart of Wenham Zoned Residential. Centrally located with direct access to the ECTA horse trail network yet within minutes to downtown Hamilton, Wenham, Crane Beach and abutting Myopia Hunt Club, this pristine property offers the utmost in privacy and natural beauty. Versatility is another important feature. The property has a stately Colonial with 6 bedrooms, 4.5 bathrooms, 8 fireplaces, beautiful hardwood flooring and graciously sized rooms at the end of a gently curving driveway. Two exceptional, approved building lots surrounded by gently rolling wooded open space are also included in this once-in-a-lifetime offering. Exquisite Hamilton home sited on 2+ private acres. Impeccably renovated in 2002 by renowned architect Laine M. Jones, this 5-bedroom home is a showcase of high-quality construction and exceptional finishes throughout. The elegant front to back foyer is the anchor of the open floor plan where you will enjoy the perfect balance of formal and informal living spaces. Chef's kitchen, gracious dining, living and family rooms. Exceptional first-floor master suite with fireplace and dual bathrooms and walk-in closets. Enormous fireplaced screen porch overlooks the outdoor kitchen, patio and impeccable landscaping. Upstairs, enjoy 4+ bedrooms, each with en-suite bath plus multiple bonus rooms. Above the detached garage, you will enjoy a well-appointed home office, gym and a full bath. 2 garages with space for 5 cars, central vacuum, security and irrigation complete this lovely offering. Located in the heart of horse country, with easy access to beaches and train/highway for commuters. Come visit!